Hunan is located in the middle reaches of Changjiang River, China, and it is to the south of Dongting Lake. It is the birthplace for Maozedong, the founder of the People’s Republic of China. Xiangjiang River is the longest river in Hunan, and it is also the Mother River for the people of Hunan. The river flows from south to north, and goes through the whole province, and goes into Dongting Lake. The short term for Hunan is “Xiang”. There are many cottonrose hibiscuses in Hunan. So Hunan is called the place for cottonrose hibiscus. 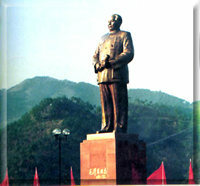 Chairman Mao wrote the poem to praise it as "The land of hibiscus glowing in the morning sun". Jiangxi is on the east of Hunan, and Hubei is on the north of Hunan. Congqing and Guizhou are on the west and Guangdong, Guangxi are on the south of Hunan. It is in charge of 13 cities and 1 autonomous prefecture. There are 136 administrative units over counties (cities, districts) level, and the provincial capital is Changsha. The physical features of Hunan are: there are mountains on three sides, east, south and west. There is Luoxiao Mountain on the east, Nanling Mountain on the south, and Wuling Mountain, Xuefeng Mountain on the west. On the north, there is plain of Dongting Lake. In the middle, there are hills and basins. Xiangjiang River, Zijiang River, Yuanjiang River and Lishui River (called four rivers) go into Dongting Lake and to Changjiang River finally. According to geographical position, Hunan can be divided into four parts. They are: northern Hunan( Changde, Yiyang, Yueyang), middle of Hunan (Changsha, Zhuzhou, Xiangtan, Shaoyang, and Loudi), southern Hunan (Hengyang, Yongzhou, Chenzhou) and western Hunan (Huaihua, Zhangjiajie and Xiangxi Tujia and Miao autonomous Prefecture. The total area is 211,800km?, and the number of population is over 65,000,000. Hunan is located in the mid-south of China. To the north of it, it’s the Changjiang River, and to the south is Guangdong coastal city. It is the inland of coastal city and the forward position of the inland. It is the transition zone for the coastal cities in the east of China and the middle and west of China. It is also the joint part of Changjiang opening economic zone and coastal opening zone. The advantage of position and transportation is very clear. Hunan is the important hub of the transportation of the Southern China. There are 5 railway lines in the province (Jingguang, Xiangqian, Zhegan, Xianghui, and Ziliu) and 77 nation-level and provincial level highs. The length of Inland River is over 10,000km, and there are over 40 airlines. It forms a comprehensive stereoscopic transportation net of water, land and air. There is large-scale railway goods sorting station in Chenzhou and Hengyang. Two foreign trade ports of Chenglingji of Yueyang are the important foreign trade ports in the inland river transportation of Changjiang. All these make a forceful condition for developing and opening Hunan. The history of Hunan is long, the culture of it is of distance source and the talented persons are plenty. There are over 30 relics of old-stone period and over 900 relics new-stone period in the province. According to the unearthing and the word record, our ancestors lived and multiplied here 8000 years ago, and they led a settled life with primitive agriculture and family raising. Hunan is one of the bases for Chinese cultivated culture. The founding of primitive social relics on Chengtou Mountain of Li county, Changde, early nearly 2000 years of the civilization history of China. The unearth of the ancient rice indicated that Changjiang valley and Huanghe valley are the cradle and birthplace for the Chinese nation. On 221BC when Qinshihuang unified the China, he set Changsha prefecture. In Tang Dynasty, Hunan office was set, and Hunan Lu was set in Song Dynasty. In Ming Dynasty, Huguang Xingshengwas set, and Hunan province was set in Qing Dynasty. Hunan was belonged to Chu in ancient times. The great poet, Quyuan, who was considered to be one of the four famous ancient cultural persons was banished to Hunan by the emperor of Chu, and he left The Lamenti,Nine Songs and Heavenly Questions and other immortal poets. In 105, Cailun who came from Leiyang improved the papermaking technology, and made the first fiber paper of multi-plant in the world. In 17th century, the famous thinker, Wangfuzi, is also from Hengyang of Hunan. In the 79 years from the Opium War to the May 4th Movement, there was so many outstanding persons from Hunan, such as Weiyuan, Heshaoji, Zuozongtang, Tansitong, Chentianhua, Huangxing, and Songjiaren. In this period, there are 83 persons from Hunan listed in the Chinese successive dynasties famous person dictionary, and it takes 10.9% of the persons in the book. From the May 4th Movement to new-demorcratic revolution, even to socialism revolution and building era, there are many wonderful leaders of the Party and Army from Hunan. Maozedong, Caihesen, Renbishi, Liushaoqi, Pengdehuai,Helong and Luoronghuan and the outstanding representative of it. At the same time, there are many outstanding talented persons on literature, art, science and education from Hunan, such as Qibaishi who is the master of art, and Yuanlongping who is the father of hybrid rice. There are 16 academicians of Chinese Academy of Science and Chinese Academy of Technology. There are 45 academicians whose native place is Hunan working outside Hunan. The climate in Hunan is mid-subtropical monsoon humid climate, and the four seasons are very clear. The average temperature of the year is between 16 to 18 with short frozen period and long frost-free period. It is suitable for the growing of the crops and wood, and also the raising of animals. There are 3,300,000 hectare cultivated lands, and the output for grain is at the fifth place of the nation. The output of rice is on the first place. For other crops, the output of ramie is on the first of the nation, the output of tea second; the output of orange is the third. The famous special local products are daily lilies, Xiang lotus, ginger, dried mushroom, Job’s tears, and hot pepper. The main part of animal husbandry is raising pig. Ningxiang pig, Binhu water buffalo, Xiangxi ox and Wugang goose and Wuling duck are famous for a long time. Hunan is one of the producing base of wood south of Changjiang River and the breed of plants is plenty? There are 64 rare breeds of national protection, and 3 breed of the first-level protection, for example sliver fir which is called the live fossil of the plant, dove tree which is called the Chinese pigeon tree and the famous dawn redwood. During the eighth-five-plan (1991-1995), the grain producing of Hunan is developed steadily. The output of producing of cotton increases from 120,000 tons to 224,000 tons. The output of oil beard plant increases from 720,00 tons to 1,120,000 tons, and the total output of meat increases from 1,890,000tons to 3,170,000 tons. The aim of green the barren hill has basically achieved. With the completing of the ninth-five plan and the drawing up and carrying on of the tenth-five plan, especially with the quickening of the agricultural industrialize, Hunan will get into the strong agricultural province from the large agricultural province. Hunan is also rich in metal resources, and it always called the place of nonferrous metal and the place of non-metal mines. 141 kinds of mines has been found in the province, and there are 83 kinds which has been verified the reserves. The reserves of antimony and wolfram are the largest of the world. The exported volume of antimony is one half of that of the whole country. The reserves of bismuth, rubidium, bone coal, realer, fluorite, sepiolite, barite, and monazite are the largest in the country. The reserves of manganese, vanadium, rhenium, mirabilite, arsonium and kaolin are the second largest of the country. The reserves of zinc, aluminium, tin, tantalum, graphite, diamond and cement burden are the third in the nation. The Shizhuyuan mine area, Chenzhou, is called the museum of non-ferrous metal on the world. The tin mountain in Xinhua is of hundred-year history, and it is called the world tin city. The founding of sepiolite in Liuyang fills in the gap in the Chinese metal resources. The plenty metal resources make wonderful condition for developing industry. The output of aluminum, zinc, antimony, hard alloy, salt fluoride is the first of the country. The output of selected wolfram mine, electrical aluminum, electrical zinc, and mercury is the second of the nation. The output of ramie textile is at the first, and the output of pottery is the second of the country. In recently years, the industry in Hunan keeps developing at a fast speed with transfering the management system, adjusting the product structure and quickening the improvement of technology. The volume of electric power increases to 32,900,000,000kwh; the output of coal increases to 4,6940,000 tons, and the output of steel increases to 1,770,000 tons. Hunan is also a province of tourism, and the tourism resource is rich. It is always called the wonder place for touring. There are 15 scenery areas and over 100 scenic spots in the province. Here is the place of the tomb of Emperor Yan (Shennongshi), the ancestor of the Chinese nation (Yanling, Zhuzhou), the place of the tomb of Emperor Yao (Jiuyi mountain, Ningyuan, Yongzhou), and the place of the tomb of Quyuang who was one of the four famous cultural persons in ancient time, and also the place of which he threw into the river (Miluo River, Yueyang). It is proved that the tomb of the farmers’ revolution leader, Lizicheng on the end of Ming Dynasty is at Jiashan Temple of Shimen. Changsha, the provincial capital, is the famous cultural city in Chinese history. There is one of the Five Mountains, Nanyue, in the province, one of the four freshwater lakes, Dongting Lake, one of the three famous tower south of Changjiang, Yueyang Tower, one of the four stele groups, Yuxi stele group, one of the four academies of Song Dynasty, Yuelu Academy which is called the seat of learning for thousand years, and one of the four famous pavilions, Aiwan Pavilion at Yuelu mountain, Changsha. 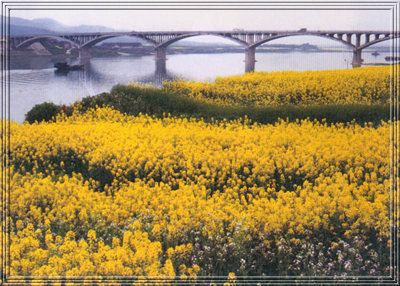 There are other famous scenic spots such as Peach Blossom Valley of Changde and the Taohua River of Yiyang. The unearthed cultural relic of Changsha Mawang tomb, and Zoumalou bamboo slips in Wu Nation are the foundings surprising the world. The custom in Xiangxi minority nations is keeping well. The special custom is very charming. Wulingyuan of Zhangjiajie is listed in the World heritage list by UNESCO in 1992 with its special natural scenery. It is centered with four sceneries of Zhangjiajie, Suoxiyu, Tizishan and Yangjiajie, and the area is nearly 80km?. Hunan is also the sacred place the Chinese revolution about 100 years in modern history. There was many revolution heroes and leaders form Hunan and they left many revolution heritages. There are 88 memory places are listed as the protective units over the provincial level, and 30 museums. Most of them are scenery spots also. The strategy of flourishing Hunan with science and education is carried out in Hunan, and the education and other social careers develop fast. One of the advances of Hunan is holding many technology talented persons. There are 177 independent natural science studying institutes, 3000 technology trade organs. There are 1,190,000 professional talented persons with 1,036,000 for natural science in Hunan. 181,000 persons get high professional titles. The comprehensive strength of science and technology has got to the top of the nation. In recent years, there are many achievements on the basic theory of new breed of grain, study and developing of computer, super-hard material, selected and fine chemical industry, the deepen processing of resources, save the energy and in other fields. There are 49 universities with 300,000 students. The enrolling rate for pre-schooling students is 98%. After 1990’s, there are some single cultural facilities are built in the main cities in the province. In Changsha, there are 12 key programs, such as Hunan broadcasting center, Hunan news tower, Hunan publishing tower, Maozhedong Art College, Hunan book center and so on. Hunan is a large province on publishing. The number of reward is at the top of the nation in the national book assessments. 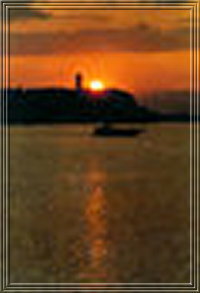 The creation of literature, broadcasting and film career, health, sports, and social welfare develops fast. The social guarantee system perfects gradually. The idea of environment is increasing, and the work on environment protection is paid more and more attention. Now, Hunan carries out making the economy develop by external opening. The external opening pattern with many directions, multi levels and wide fields has formed. On the whole pattern of the opening; pay attention to the opening of Yueyang, Changsha, Zhuzhou, Xiangtan, Hengyang, and Chenzhou where near the Jinguang railway and Jinzhu highway. The provincial capital, Changsha, is the most important. Hunan has opened to all the nations and regions. On the opening field and level, Hunan carries on the external foreign statregy of multi-methods. It has made trade and technology cooperation with 135 countries and regions. Now, there are 1100 kinds of 24 groups of goods export, such as rice, tea, ramie, pig, wolfram, antimony, hard alloy, firework, pottery, Hunan embroidery, feather production and stone carving. The exported volume of ramie is one third of that of the nation, pottery is one seventh of the nation. In recent two years, Hunan strengthens the building for basic facilities such as energy, transportation, water, electricity, telecommunications and so on. It strengthens the information service, perfect the all kinds of policy, law and regulation, and protect the legal right for the foreign trader. All these make a good condition for future development. At the changing of two centuries, all over the province is taking method to increase the idea for opening to every people, are perfecting the investment environment. Insist on doing the things according to the law, protecting product right for knowledge, and strengthening the training of talented persons for foreign affairs to meet the need of enlarging opening. In the new century, Hunan will keep on enlarging the field for investment, loose competitive industries gradually, such as circulation, tourism, services and so on, open the inside market of the province, and encourage the foreign investment on new and high-tech industries. It is believed that Hunan will be more open in the new century.